At Pinch of Nom, we’re always looking for new and exciting ways to create recipes, using ingredients that are easy to get hold of and that are reasonably priced. 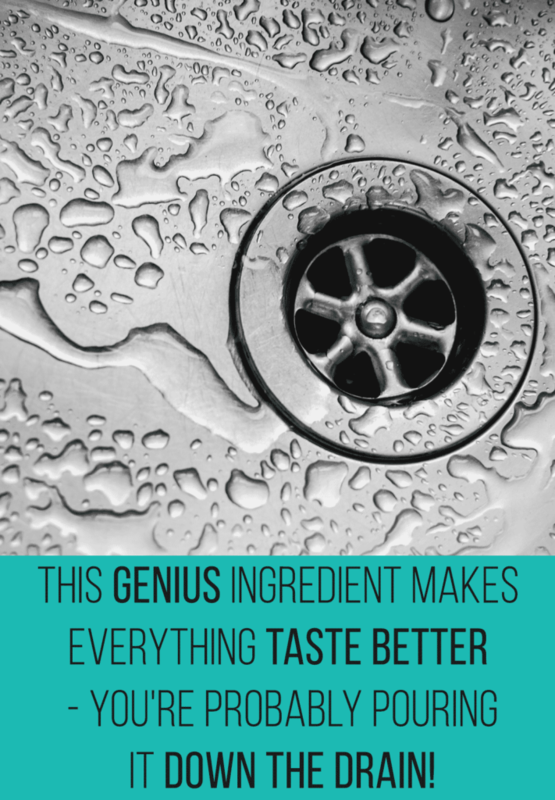 This genius ingredient makes everything taste better – and you’re probably pouring it down the drain! What Is This Genius Ingredient? It may come as a bit of a surprise, but it is in fact pickle juice! Yes, juice from a jar of pickled vegetables! Sounds absolutely crazy doesn’t it?! 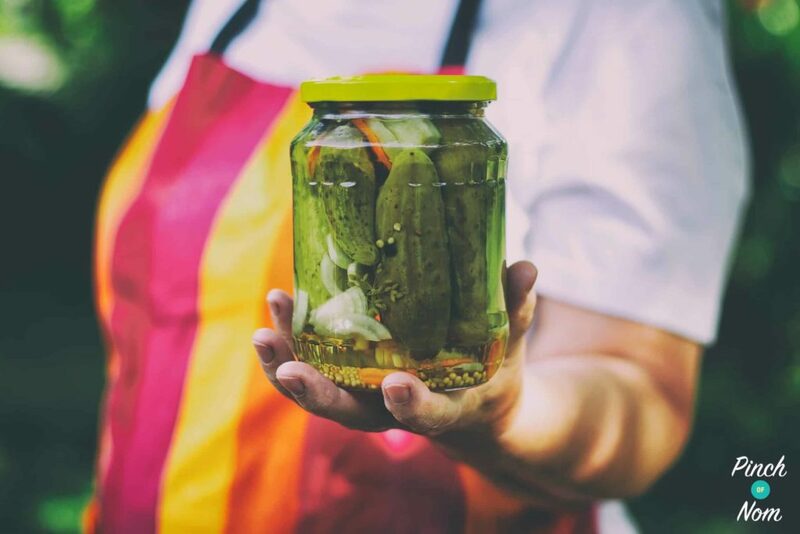 Jars of pickled vegetables are found in most supermarkets up and down the country, so first on its list of credentials is that it’s very easy to get hold of. Secondly, the cost of a jar of pickled vegetables – they’re really affordable! Most supermarkets stock jars of pickled vegetables for less than a pound for a reasonably sized jar. There’s no need to splash out on the posh stuff, cheap is good! How Do I Use This Genius Ingredient? The use of pickled vegetable juice could not be simpler. For most recipes that we’ve used it in, you only need a tablespoon or two of the juice from pickled vegetables. This means that you’ve got lots of this genius ingredient to play with from just one normal sized jar! Not forgetting that you’ve got a whole jar of pickled vegetables to munch on! They make such a great Speed Food snack. Some recipes may call for the juice from specific pickled vegetables, such as pickled gherkins, but these are also just as easy and affordable to buy from the supermarkets. It’s the perfect opportunity to experiment with different flavours of pickles. So, instead of just using the picked vegetables and pouring the pickling juice down the sink, use it to add an extra zing to your cooking! What Recipes Use This Genius Ingredient? We’ve got a selection of recipes that use the juice from pickled vegetables to really enhance the fresh flavours of the ingredients. 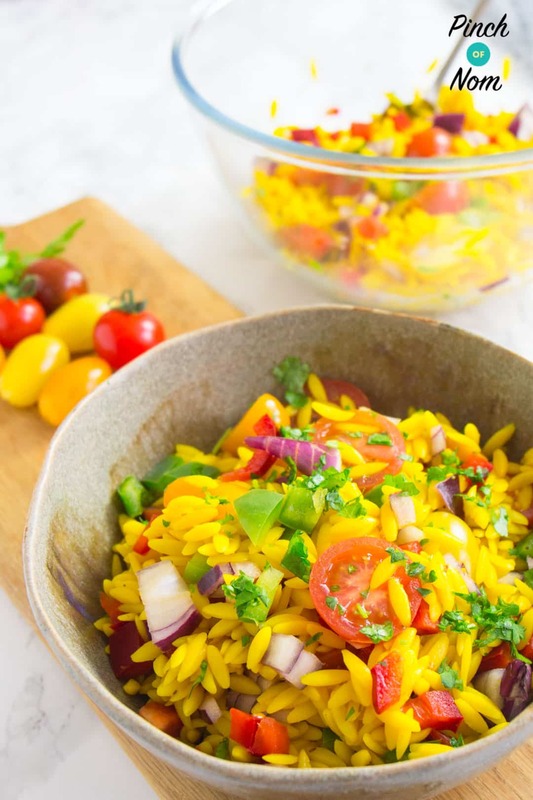 Our Syn Free Orzo Primavera Pasta Salad is the perfect example of using this genius ingredient, pickled vegetable juice, to it’s full potential. You only need a tablespoon of the pickling juice to add a fresh zing to the dish. It isn’t quite as harsh as straight vinegar, so it compliments the vegetables that are used to create the dish wonderfully. A little goes a long way! 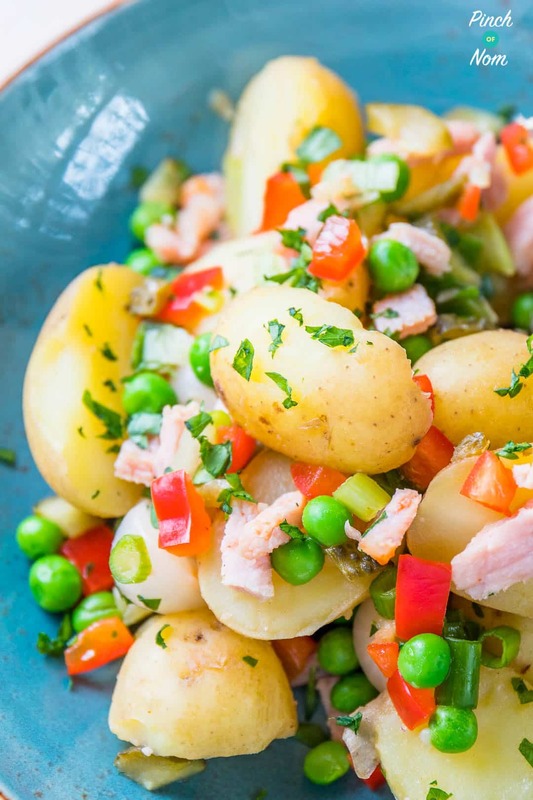 This is another recipe that’s perfect for a summer BBQ, or taking to a Slimming World group taster session, it’s our Syn Free Pea, Pickle and Bacon Potato Salad. As the name suggests, pickle is at the heart of this salad. So what better genius ingredient to use than pickle juice?! Syn Free Pea, Pickle and Bacon Potato Salad requires four tablespoons of the pickling juice from a jar of gherkins. What’s great is that this dish already used pickled gherkins in the recipe, so you’ve already got the juice! No need to pour down the sink. 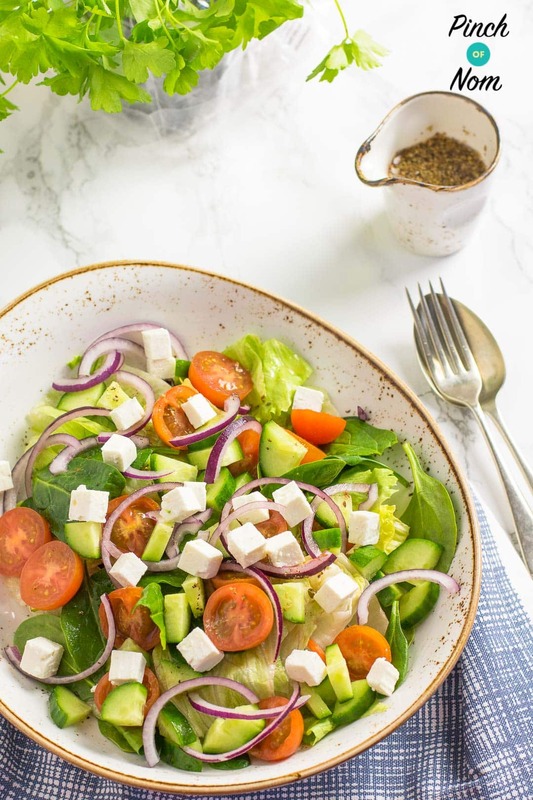 At the time of writing this, the sun is out and the temperature is perfect al fresco dining territory – what better recipe to put you in the holiday mood than our Syn Free Greek Salad! Once again, the magic to this dish is our genius ingredient; the juice from a jar of pickled vegetables. Two tablespoons are required to add that edge of freshness and zing to the salad, without it becoming overpowering. Oooooh, I have some pickle jars in the cupboard! That Orzo pasta salad looks amaze!